Find out if a phone has been blacklisted due to theft, loss or unpaid bill. Are you about to buy a second-hand phone? Unsure why you can't make calls or connect to the Internet? Want to make sure your phone cannot be used if stolen? Type *#06# on your phone’s keypad to obtain your IMEI number and insert in the box below. Only type the first 15 digits! Click on the + symbol to view the network providers consulted in order to prepare this report. Unlock your phone and you will be able to use it with any network operator! Unlock This Phone! If the network provider to which your phone is locked doesn't collaborate with the GSMA initiative, no information will be available. Information shown is obtained from cooperating 3rd party access. Click here for a comprehensive list of participating operators and 3rd party sources. doctorSIM makes no guarantees as to the information provided. Please use at your discretion. Data shown is as good as referring party. No reported data does not mean a phone may still be reported but not updated, or be reported at a later date. Use at your own risk. Be careful when buying second hand devices! What information is provided in the full report? This report has been compiled from reputable sources of data and network providers collaborating with the GSMA initiative. In addition, the report is complemented with information from independent organizations and providers. The report only includes networks that collaborate with the GSMA initiative. See list of networks here. What is the IMEI number? How do I obtain it? The IMEI number is a 15 to 17 digit number unique to your phone. The IMEI is a serial number which differentiates your phone from all other phones. IMEI stands for "International Mobile Equipment Identity" and consists of the following information: TAC (Type Allocation Code): The first 6 digits. Final Assembly Code (FAC): Digits 7 and 8. These two digits represent the manufacturer of the phone. Serial number: The following 6 digits (9-14). Validation code: The final digit, used only for verification purposes. Type *#06# on phone's keypad to obtain the IMEI code. What does it mean if my phone has been reported due to loss, theft or an unpaid bill (blacklisted)? When somebody reports their phone stolen or lost, the phone is included in a large database accessed by the majority of network providers. If you attempt to use a reported or blacklisted phone, it is very likely it won’t have network coverage. If you have WiFI, you’ll be able to connect to the internet and even send text messages, but you won’t be able to make or receive calls. How do I remove my phone from the blacklist? A phone reported for theft can only be removed from the blacklist by the network provider that reported it in the first place. For details on the country, network provider and reason for being reported, we recommend requesting a full report on your phone here. Fill out the form above with your IMEI and email to get your instant blacklist report. Can I unlock my phone even if it has been reported? Yes, but keep the following in mind: Unlocking a phone has nothing to do with removing it from the blacklist. Unlocking your phone allows you to use it on any other network in the world. However, even though the phone is unlocked, you almost certainly won’t be able to make or receive calls until the phone has been removed from the blacklist.  In some cases, it is possible that an unlocked phone works correctly even though it has been reported. But it is not guaranteed. We recommend removing the phone from the blacklist before trying to use your phone on another network. My phone has been stolen. How do I report it stolen or add it to the blacklist? The first thing you need to do is immediately call your network provider. You will be asked for proof that you are the owner of the phone (if purchased unlocked) and a copy of the complaint you filed for theft or loss with the police. If you like, you can also send your IMEI (along with any additional information) to info@doctorsim.com for assessment and to included in the database. I want to buy a second-hand phone. What do I need to check before making the purchase? Most important is that you receive the IMEI number from the seller so you can check the history of the phone yourself. Buying a phone can be a big investment and we recommend paying for an official report. Do not trust IMEI checks that are advertised for free. I was sold a phone that has been reported stolen. What should I do? - Perform a complete IMEI check of the phone to send to the seller. - Ask the seller to return your money in exchange for the phone. - Use the conflict resolution measures available to you on websites dedicated to the second-hand market, eBay etc. to exercise your rights. Which network providers are included in the report? Information on the current status (reported or not reported) is updated daily by the GSM Association, of which almost all network providers and MVNOs are members. However, some network providers take longer to report phones or remove them from a particular list and discrepancies may exist. For this reason, if you are unsure of the full history of the phone or who it belongs to, doctorSIM recommends you double check its current status by contacting the network provider the phone is locked to. Why check the current status of your phone with doctorSIM? Check if your phone has been reported stolen, lost or due to an unpaid bill. Essential if you are going to purchase a second-hand phone. Provide peace of mind to the buyer if you are trying to sell your phone. Remove any doubts you may have if your phone isn’t working properly. Unlock your phone trouble-free if your phone hasn’t been blacklisted. Official data collected directly from the network’s databases. First-class customer support available to answer your questions. IMEI Checking with doctorSIM is rated 4.8 out of 5 based on 423 reviews . Click here to easily unlock your phone.